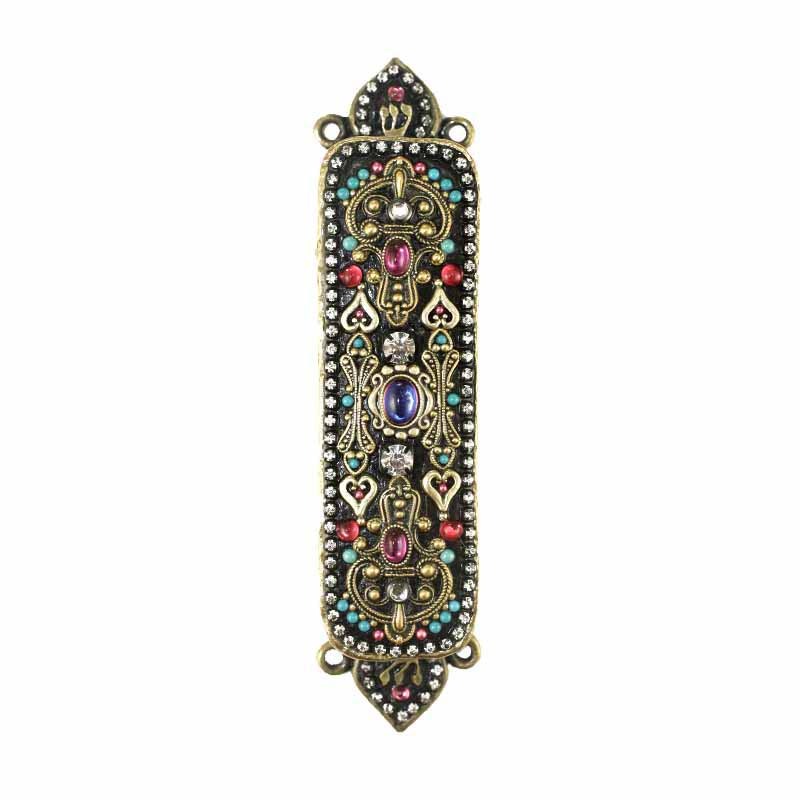 An intricate pattern of crystals, beads and gold accents adorns this mezuzah. The perfect piece for someone who loves lavish decorations and attention to details. 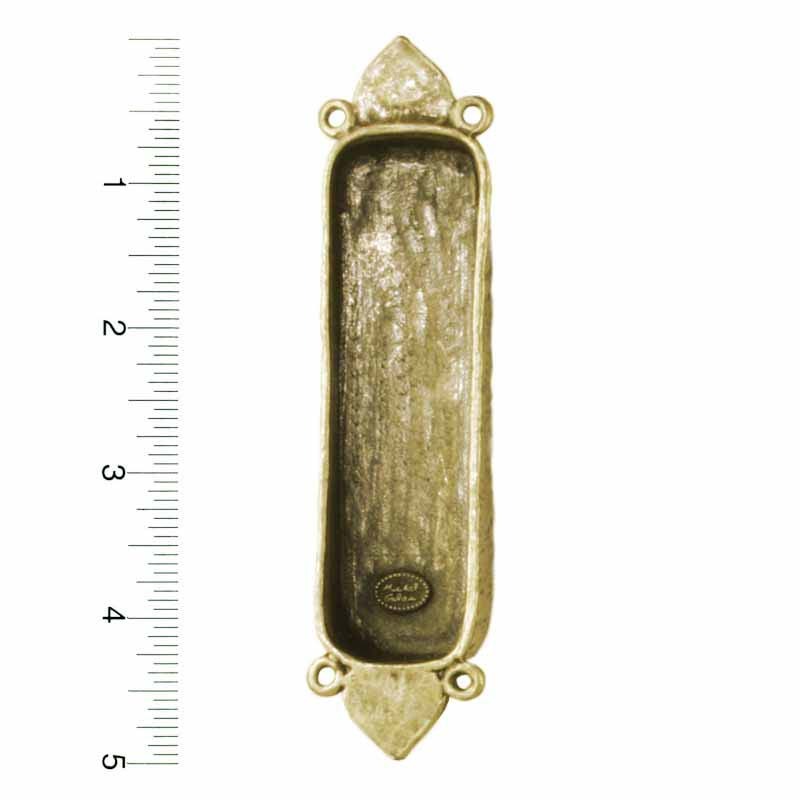 Each bead and crystal was lovingly hand placed on this mezuzah imbuing it with positive energy. A wonderful addition to any home.